Cape Town – Four down, two to go. 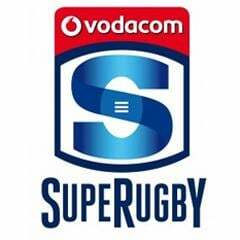 That is the situation the unbeaten, Super Rugby-topping Stormers find themselves in if they wish to emulate their runaway start to the 2012 campaign. They topped the ordinary-season table that year, earning a coveted home semi-final -- even if it is history now that they botched that glorious opportunity after doing so many months of sterling set-up work. A feature of that SA conference trophy-winning season, nevertheless, was their roaring start which featured six wins on the trot and went a considerable way to making them unassailable ahead of the playoffs phase. The class of 2015 is arguably less trumpeted from an overall squad quality and depth point of view, but it is still a fact that Saturday’s revealingly comfortable 29-13 home triumph over the dishevelled Sharks powered the franchise to a four-out-of-four record at the quarter mark of their pre-Finals Series roster. Two more victories in the next two games would see them match that 2012 start, even if the Chiefs at Newlands this Saturday – their foes presumably smarting from a first defeat, at home to the Highlanders -- shapes up as another pretty formidable hurdle for their fifth challenge. There would be a fitting synergy, too, if they can complete a perfect six as the last game in that sequence (provided that the achievement is still “on” by then) would be exactly the same as three years ago: Highlanders in Dunedin. On that occasion the Stormers won 21-6 in their first overseas tour fixture (it will be the same this time, after the tonic of a bye weekend), before their winning habit was eventually spoiled for the first time in a 31-24 reverse to the Crusaders. Whatever happens in the two above-mentioned games over the next three weeks for Duane Vermeulen and company, the Capetonians already look a solid bet for the playoffs, something they failed to achieve last season as they ended a disappointing 11th with seven victories from the 16-match ordinary-season programme. Last season two of three teams in the competition to net eight wins made the cut, so if that turns out to be the magic mark for qualification again this year, the Stormers may need only a further four triumphs from 12 remaining games to crack the top-six elite. 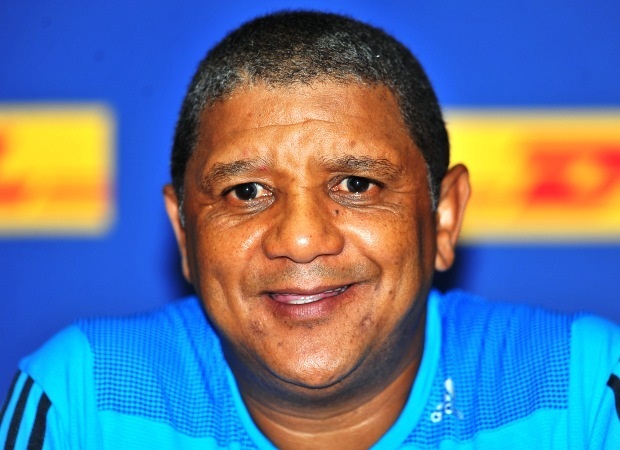 Coach Allister Coetzee is too experienced to put the cart before the horse and allow complacency to filter in to any great degree, but it is certainly something of a turn-up for the books that his men already command a gaping 10-point conference lead over the highly-touted (at least before the tournament began) Sharks. They are also six points ahead of second-placed domestic outfit the Bulls, so even a loss to the Chiefs guarantees them ongoing conference supremacy after round five next weekend. The particularly gratifying knowledge for the Stormers and their sturdy fan base is that their team should only get increasingly steely on paper over the next few weeks. Fresh injury setbacks are always a threat in the taxing competition, but they have risen to top spot overall – the Hurricanes are the only other remaining side with a 100 percent record -- while still some way short of putting out a best possible start-out XV. That applies especially to the pack, where they have handed out physical lessons to both the Bulls and Sharks thus far despite not yet having had the luxury of fielding their perceived best lock combo of Eben Etzebeth and Ruan Botha; when one has played the other has always been out of action. It might alter for the better this weekend, as the lanky Botha is tipped to be fully fit again for selection and would beef up the one set-piece area that continues to look less than wholly efficient – the lineout. The Stormers have also not yet started their recovered-from-injury Springbok tighthead Frans Malherbe: it simply hasn’t been desperately necessary due to the robust showings in all facets of play of newcomer Vincent Koch, and the Newlands-based side may now boast the best duo for the No 3 shirt in the country. Throw in the fact that gnarly old combatant Schalk Burger got through a healthy chunk of second-half action against the Sharks, and looks hungry to start, and a few pleasant dilemmas could present themselves for the Chiefs showdown. The Waikato side won the last meeting between the two in Hamilton last year (36-20) although the Stormers have bragging rights from the last Newlands clash in 2013 when they edged a thriller 36-34. The Bulls, on a happier streak of two wins from two after a poor start, enjoy a sit-out weekend now but will feel another triumph is well within their grasp when they return to combat against the moderate Force at Loftus in a fortnight’s time. What of the Sharks? One win from four attempts has them quite severely on the back foot, but there are enough seasoned customers on their books not to allow a climate of panic: they still have six more games on South African soil (and four in Durban) before they must journey to Australasia. Friday: Hurricanes v Blues, 08:35; Force v Rebels, 13:00. 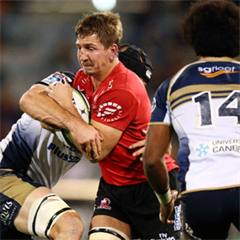 Saturday: Crusaders v Lions, 05:30; Highlanders v Waratahs, 08:35; Reds v Brumbies, 10:40; Stormers v Chiefs, 15:00; Cheetahs v Sharks, 17:05. Bye: Bulls.